Quartz viewing glass is widely used in industry. Klinger glass is easier to bay, when you get familiar with the characteristics below. type G – made of quartz glass. Manufacture of single-component glass is carried out by melting silica rocks: veined quartz, crystal or quartz sand. Widely used in glazing plants, factories, boiler rooms – wherever high heat resistance is needed. 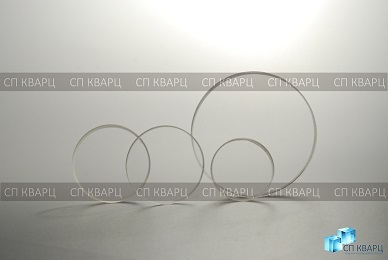 As standard, round glass is produced in diameter from 10 to 200 mm with a thickness of 3 to 20 mm. The technical quality is also affected by the class of glass surface treatment and the type of its throughput. Glass inspection is divided into several types, depending on the composition and features of production. Under the influence of the test pressure, the sight glass should not begin to break down for at least 5 minutes. It is allowed not more than 5 mm deviation from the parallelism of the glass planes. It is allowed to use exceptionally colorless glasses for viewing windows. A blue, yellowish or greenish hue is allowed only if it does not reduce the directional light transmittance.